Mission Beach is a scenic 2 hour drive South of Cairns and is the gateway to Dunk & Bedarra Islands. Self driving from Cairns is recommended or transfers can be arranged from the Cairns Airport. Home to the unique Southern Cassowary often seen walking around roads in the village. One of the biggest drawcards to Mission Beach is undoubtedly the pristine beaches and the World Heritage rainforests of the Wet Tropics. Sixty per cent of Australia’s butterflies can be found here, including the magnificent Birdwing and the Ulysses species. Hikers will be tempted by a range of historical and invigorating walks, ranging from strolls to more challenging inclines. 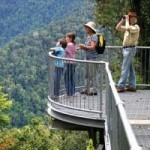 Popular local town tracks include Bicton Hill, Licuala Fan Palm Walk, Edmund Kennedy Walking Track and Lacey’s Creek. to the canopy, in comfort and safety. The walkway passes through one of the largest remaining continuous stands of complex vine forest on basalt soils in the Wet Tropics. 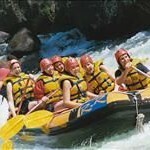 Paronella Park, voted Queensland’s number 1 must do. An experience that is impossible to describe. Discover the secrets of our Indigenous culture and dreamtime places with guided tours to Echo Creek Falls. Kayaking tours off the beach and across to Dunk Island are another great way to take in the scenery often sighting dolphins, rays and turtles. Approximately 4km offshore, Dunk and the Family Group of islands make up Mission Beach’s aquatic playground. Dunk Island is a popular spot for national park walks. 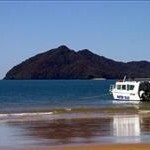 The tropical verge of Dunk Island is wonderful for cool rainforest walks, and day trips to Dunk Island from Mission Beach can be enjoyed with minimum effort. Mission Beach Dunk Island Water Taxi operates from Wongaling Beach. The Island Tour is a great way to see everything out there in a comfortable boat with a chance to sink you feet into the sand at a private beach location. Pulling into but not stopping at Timana, Kumboola and Bedarra you will be treated to a mixture of interesting facts and local history combined with a little bit of folk law and fiction. Finishing the tour is a 1 ½ hour stop on a beautiful beach at a secret location where you can unload your esky for an afternoon tipple, beach comb and a swim. Mission Beach is a haven for rest and relaxation. Pamper yourself at Queensland’s first beachfront day spa at Castaways Resort. Experience the local culture and visit the markets held on the first and third Sunday of each month showcasing local produce, clothing, arts and crafts. Mission Beach is also home to artists and galleries exhibiting local and Australian works. Taste the tropical produce of the region with a swathe of great local restaurants to choose from. Dine at relaxed indoor-outdoor settings by the beach, glorious ocean-front restaurants and experience local seafood & exotic flavours. 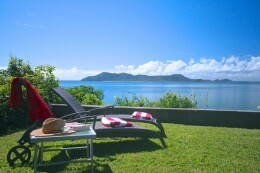 Retreat to your luxurious holiday accommodation at TALI South Mission Beach, boasting magnificent panoramic views overlooking Dunk Island and the Coral Sea.